You contact us or request information from our Customer Service Department by contacting us at: (855) 893-8164 or at customer.care[AT]canali.com. The use of the service described in these General Sales Conditions is reserved exclusively to Consumer customers, where by “Consumer” is meant any physical person making purchases for purposes other than a business, commercial, artisanal, or professional activity. By accepting these General Sales Conditions, you (the “Client”) represent and warrant that you are a Consumer. The General Sales Conditions do not regulate the provision of services or the sale of Products by any third party other than CANALI, including third party products or services advertised on the Website or accessible via links, banners, or other hypertext connection. CANALI reserves the right to change these General Sales Conditions at any time. Clients will be required to accept the then-current General Sales Conditions each time they make a purchase through the Website. The Products shall remain the property of CANALI until the payment to CANALI of the total sum due by the Client (“Total Sum Due“) is made. The description and essential characteristics of the Products, including details and composition, fit, colors, and sizes (where applicable) are featured in the Website within each Product description, together with one or more photographic images in digital format. The images and colors of the Products for sale on the Website may be subject to variations according to the browser and/or monitor used. CANALI is not responsible for any discrepancies in the visual representation of the Products that cannot be avoided through reasonable technical measures. Before completing a purchase, the Client is responsible for ensuring that the items in the virtual shopping bag are accurate, and for entering any promotional code, where applicable, in the applicable area of the checkout screens. The Client agrees to provide current, complete and accurate purchase and account information for all purchases made on the Website. The Client agrees to promptly update its account and other information, including its email address, credit card numbers, and expiration dates, so that CANALI can complete the Client’s transactions and contact the Client as needed. Once the Order has been received by CANALI and confirmation of the validity of the payment instrument used by Client confirmed, CANALI will send to the Client, at the e-mail address provided by the Client during the order process, an order confirmation, containing general and special terms and conditions applicable to the contract (“Order Confirmation Email”). To gain access to the Order details, a registered Client can consult the Website section "My Account", and can in any case make reference to the Order Confirmation Email. Notwithstanding any of the foregoing, CANALI reserves the right to refuse any order you place with us. CANALI may, in its sole discretion, limit or cancel quantities purchased per person, per household or per order. These restrictions may include orders placed by or under the same Client account, the same credit card, and/or orders that use the same billing and/or shipping address. 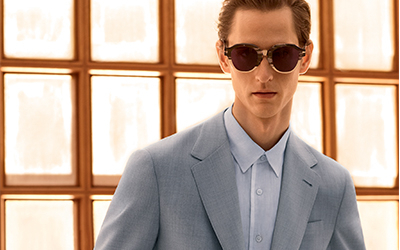 In the event CANALI makes a change to or cancels an order, CANALI will attempt to notify you by contacting the e-mail and/or billing address/phone number provided at the time the order was made. CANALI reserves the right to limit or prohibit orders that, in its sole judgment, appear to be placed by dealers, resellers or distributors. CANALI has adopted measures to ensure that the photographs featured on the Website are accurate representations of the original Products. However, the images, styles and colors of the Products for sale on the Website may be subject to variations, including for variations due to the browser and/or monitor used. CANALI cannot guarantee that your computer monitor's display of any color or style will be accurate. CANALI reserves the right to remove any Products from the Website at any time and/or to delete or change any material or contents thereof. CANALI is not responsible to Client or any third parties for the removal of any Product from the Website. 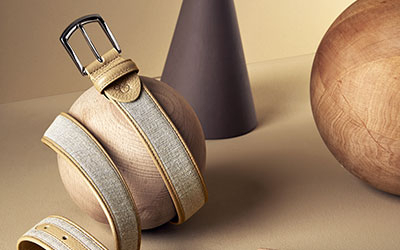 Product availability is subject to monitoring and updating by CANALI. However, there may be information on the Website that contains typographical errors, inaccuracies, or omissions that may relate to Product descriptions, pricing, promotions, offers, and availability. We reserve the right to correct any errors, inaccuracies or omissions and to change or update information or cancel orders if any information on the Website is inaccurate at any time without prior notice (including after you have submitted your order). In cases of unexpected unavailability of the Product, the Client will be entitled to cancel the order (or applicable portion thereof) and receive a refund the amount actually paid by the Client within 15 business days starting from the day on which of the order has been placed. The refund amount will be credited to the form of payment used by the Client for the purchase. ii. fulfillment of the order with a different Product, of equivalent or higher value, upon payment by Client, in the latter case, of the difference, upon prior approval of the Client. The Client may be able to cancel an order before any of the Products are processed or prepared for shipment, by contacting CANALI Customer Service by phone or by email. If the Total Sum Due is not paid or your payment method is declined or otherwise not able to be charged for the Total Sum Due, CANALI will cancel the Order. Clients will be informed by e-mail of any such cancellation. The Product prices displayed on the Website do not include any taxes, or shipping costs; taxes, shipping and total order cost are displayed in the shopping cart prior to purchase. The prices of the Products offered through the Website may differ according to the jurisdiction in which the Product is sold or shipped to. The Client agrees to pay all fees for Orders the Client places with CANALI. The Client expressly agrees that CANALI is permitted to bill the Client for the applicable fees, any applicable tax, and any other charges the Client may incur in connection with its purchases, and such fees will be billed to the Client’s credit card, debit card, or other payment method designated on the applicable Order. CANALI is not liable for any loss caused by any unauthorized use of the Client’s credit card, debit card or any other method of payment by a third party in connection with the Client’s purchases. CANALI reserves the right to change its billing methods at any time. Promotional codes can be used exclusively for purchase of CANALI Products through the Website. Each promotional code is valid only for the period indicated in the code itself, and it may consist of a discount or a gratuity door a particular type of service. A promotion code may be limited to only some Products, and valid in certain jurisdictions only. Promotional codes are not cumulative and may be used for one order only. The Client may make the payment through one of the methods indicated in the Website. The validity of your credit card may be verified through a pre-authorization process. This pre-authorization will not charge your card. Payment is charged to the Client’s credit card upon shipment of the purchased Product. In case of PayPal payment, the Client will be redirected to the website www.paypal.com, where the Client shall make the payment for the Products according to the PayPal terms and conditions. Payments made on the PayPal website will be processed directly by PayPal and will not be sent to or shared with CANALI. Any refunds due for payments made through PayPal shall be credited to the Client's PayPal account. CANALI shall not be deemed liable for any harms arising from Client’s use of PayPal; such use is subject to PayPal’s terms and conditions. Shipping of the Products is available to addresses within the continental United States, as well as Alaska and Hawaii. Express shipping and other shipping methods may not be available for shipments to Hawaii or Alaska. Shipping or delivery to post office boxes is not available. Delivery dates and time periods listed on the Website or in the shopping cart are purely estimates. Unless otherwise noted, including in the cart at checkout, all shipping costs shall be payable by the Client. Shipping fees are nonrefundable. 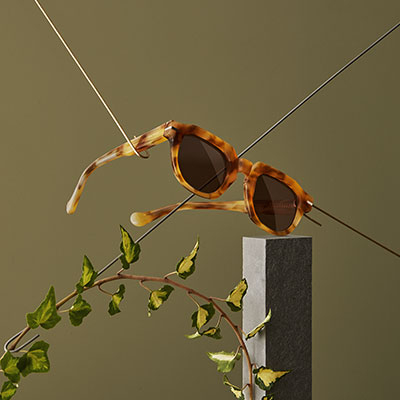 CANALI may but is not obligated to offer free shipping on certain Orders, which will be reflected in the shopping cart at checkout. Where available, CANALI offers its Clients the option of picking up the Products purchased on the Website or at a CANALI Boutique. For pick up order, during the order process, the Client must select the option “Boutique Pick Up” - and select an address among those available in the list featured in the Website. 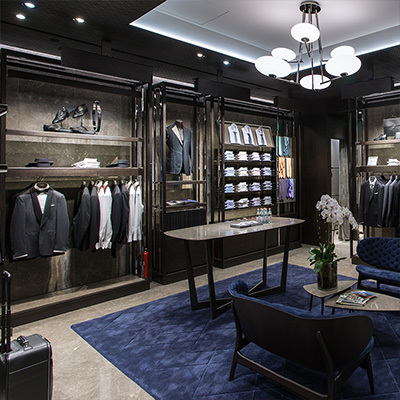 The CANALI Boutique chosen by Client for pickup will send the Client an e-mail when the Products purchased have reached the designated Boutique. The Products shall remain available for pick up for up to 10 days following the transmission of the e-mail. Once the Client has received the confirmation e-mail, the Client must personally collect the Products purchased, and provide the confirmation e-mail and a personal ID upon pickup. Upon expiry of such period, the Order will be deemed to have been cancelled by the Client and the Products will free to be used or sold to third parties by CANALI. CANALI will refund the Client’s purchase price for said Products. The Products collected in Boutique are subject to the same terms and conditions for Product return and replacement as per Article 15 of these General Sales Conditions. In any case where a Client has designated a third party to pick up an Order at one of the CANALI Boutiques, the Order shall be handed to the designated party only upon presenting a copy of the email containing the purchase reference number, along with a proxy for collection signed by the Client, and a copy of the delegated third party’s valid ID. The Express Carrier staff or the Boutique’s sales staff may decline to allow the designated party to pickup the Order if the Client has not complied with the collection procedure. Products purchased, whether defective or not, from the Website may be returned by the Client, without penalties and without the need to indicate the reason for return, within thirty (30) days from the delivery of the Products to the Client or to Client’s delegated third party. Once this time limit has expired no returns shall be accepted. Unless otherwise stated, no refunds for shipping costs will be provided. For Clients who have selected the “Boutique Pick Up option, the 30-day period to exercise the right to cancel starts on the date in which the Client has collected the Product. The right to cancel does not apply to any bespoke or customized products, including items customized or tailored after purchase. This means that customized, personalized, tailored, or altered Products are not eligible for return. For the purpose of exercising the right to cancel, registered Clients may follow the online procedure found in the “My Account” reserved section and follow the links provided in the shipment confirmation. 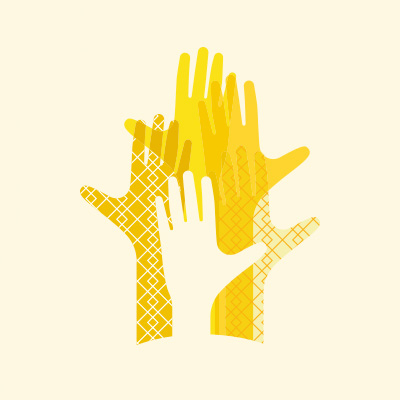 Clients may contact Customer Service with any questions. Clients may also choose to send a written (at the email customer.care[AT]canali.com) communication to Customer Service, explaining their decision to return a Product, or may use the form available here below. Upon receipt of CANALI’s confirmation of Client’s decision to return the Product, the Client must send the Products without undue delay, and in any case within 30 days from its receipt of CANALI’s confirmation. • delivery of the return items to a CANALI Boutique authorized to accept the return items. Should the Client decide to use a different shipment method for the return items, other than the methods listed above, the Client shall be liable for any theft, loss, and shipment costs. CANALI shall reimburse such shipping costs to the extent equivalent to the standard cost of shipment of the Products purchased. The Products must be returned in their original packaging and labeling (including box, accessories, tags, labels, bags), and must not have been used, washed, or damaged. The sole of the shoes must be intact. CANALI will make reasonable efforts to provide any refunds due within thirty 30 days of its receipt of the returned Product from the Client. However, CANALI may withhold refunds until it receives the returned Product. All payments made to CANALI for properly returned products shall be refunded to the Client, including delivery costs for ordinary shipment. Said reimbursements will be made using the same payment method used by the Client for the initial transaction, unless otherwise expressly agreed by the Client and CANALI. 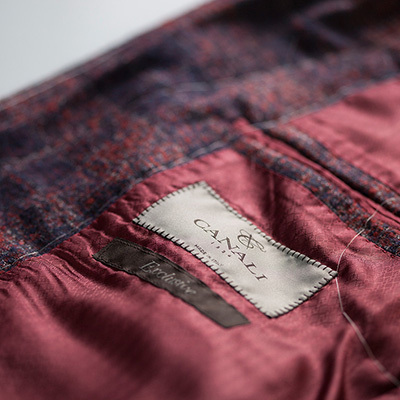 CANALI reserves the right to reject the return of Products that appear damaged, incomplete, deteriorated and/or dirty or in any state that reveals that the Products have been used. Should the above method and time limits for exercising the right of return not be complied with, the Client shall no longer be entitled to receive any refund. Should the Client assert to have received the Products in a damaged state, such Products must be returned exactly as received by the Client, without the Client having made any modification or attempted any repair. If CANALI verifies the flaws or lack of conformity of the Product, CANALI will, at its option, either repair or replace the defective product. Where no repair or replacement of the Product purchased is possible, or the repairs cannot be completed within a reasonable time, the Client may request to keep the defective Product with a reasonable reduction of the price. All the CANALI brands, including the figurative and non-figurative trademarks, and more generally all the illustrations, writings, images, and logos featured in the Website, and the Products, accessories, and packaging are and remain the exclusive property of CANALI or of the companies of the group, and access to the Website does not entail the acquisition of any right of the Client over the same. 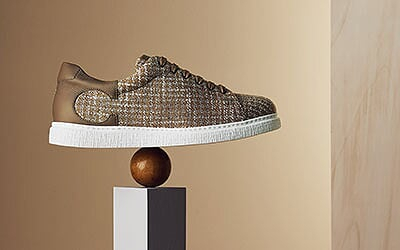 Any reproduction, in whole or in part, modification or use of the above-mentioned trademarks, illustrations, images, and logos, or other intellectual property rights of CANALI, is expressly forbidden without the prior written authorization by CANALI. The services provided by CANALI may be suspended in case of unforeseeable events or force majeure preventing or delaying the performance thereof if and to the extent that CANALI is not responsible for the event. CANALI informs the Client of the unforeseeable event or force majeure without undue delay, but at the latest within 7 days from the occurrence thereof. In case the services provided by CANALI are suspended for a period exceeding 15 days, the Client may choose to cancel the Order and receive the full refund of the sums already paid. The rights to which the Client is entitled under the law remain unaffected thereby. New York state law and applicable U.S. federal law, without regard to the choice or conflicts of law provisions, will govern these General Sales Conditions. The United Nations Convention on Contracts for the International Sale of Goods shall not apply to this Agreement. Any disputes relating to these General Sales Conditions, not subject to arbitration, will be heard in the courts located in New York County in the State of New York.